With the holidays right around the corner, my daughter’s birthday on Wednesday and my mother-in-law coming to stay for the weekend, a four-letter word comes to mind. Soup. Quick, nutritious and versatile, soup is a one-pot solution for holiday entertaining and family-feeding stress. With a big pot of soup in the fridge, and/or some containers in the freezer, you’re set for just about anything. 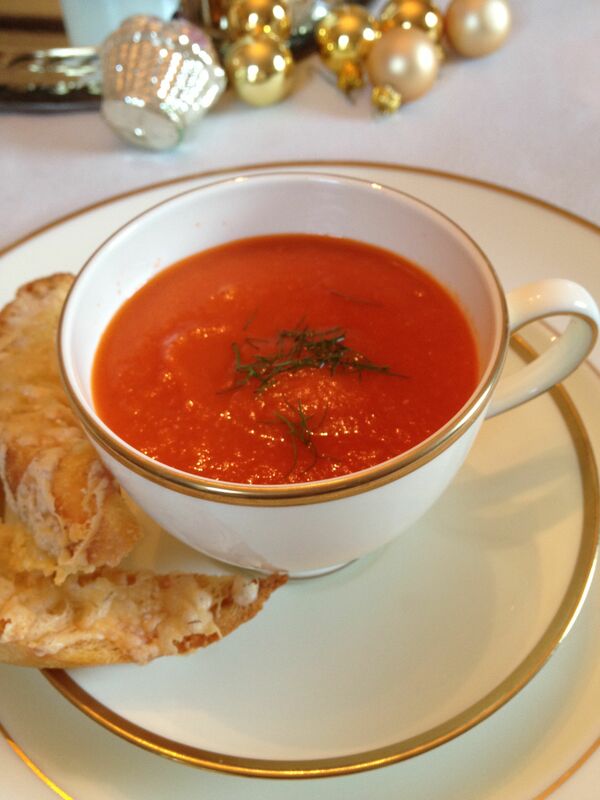 Like the perfect LBD, soup can be dressed up or down to suit any occasion; serve it in big mugs with grilled cheese sandwiches for a casual lunch, or serve it in fine china teacups as an elegant and not-too-filling appetizer for a holiday meal. My mother-in-law will be very impressed to be served a soup course, as if we were on the Queen Mary (or Titanic); she doesn’t need to know I just pulled it out of the freezer. Fresh fennel may not be a regular staple in your produce bin, but this soup is a good reason to go out and buy a couple of bulbs. (Look for ones that are firm, with fresh leafy tops.) 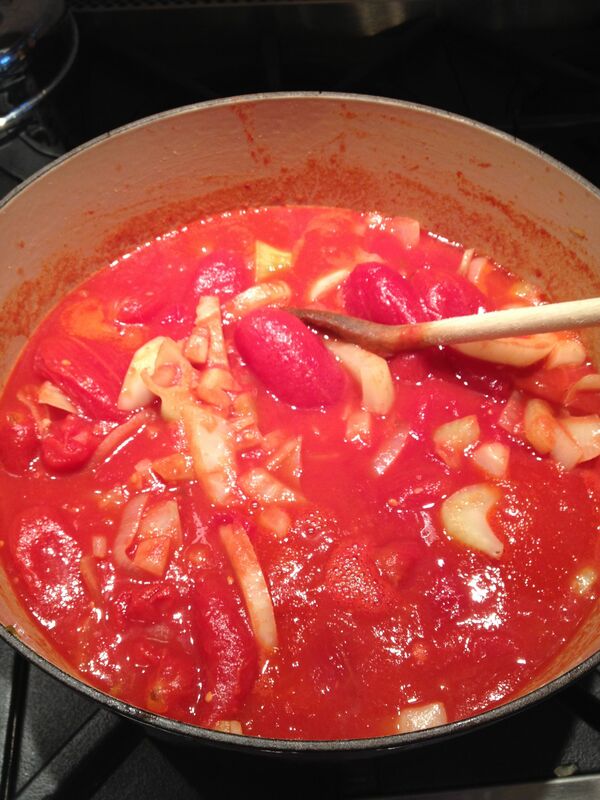 By pureeing the fennel, onions and tomatoes, you end up with a beautiful, “sippable” soup with good body and a delicate flavor – but looks like regular tomato soup. 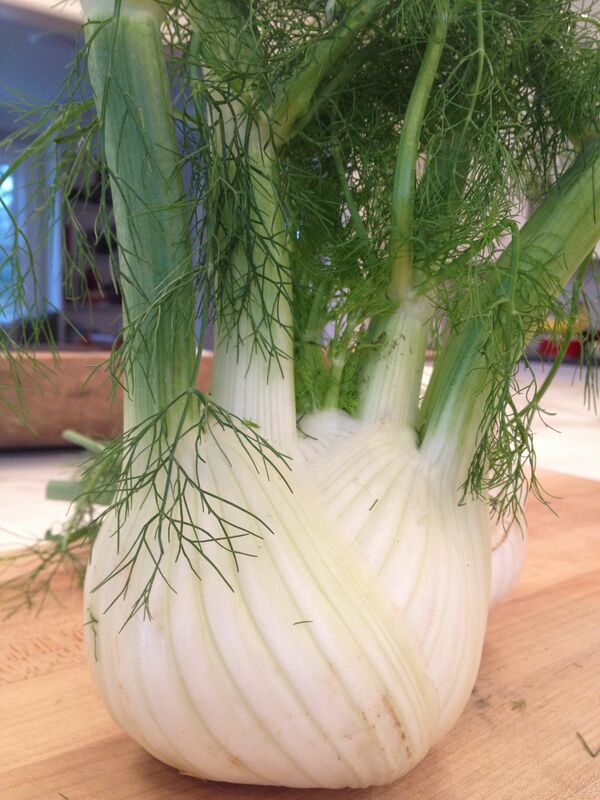 The fennel can be your little secret. 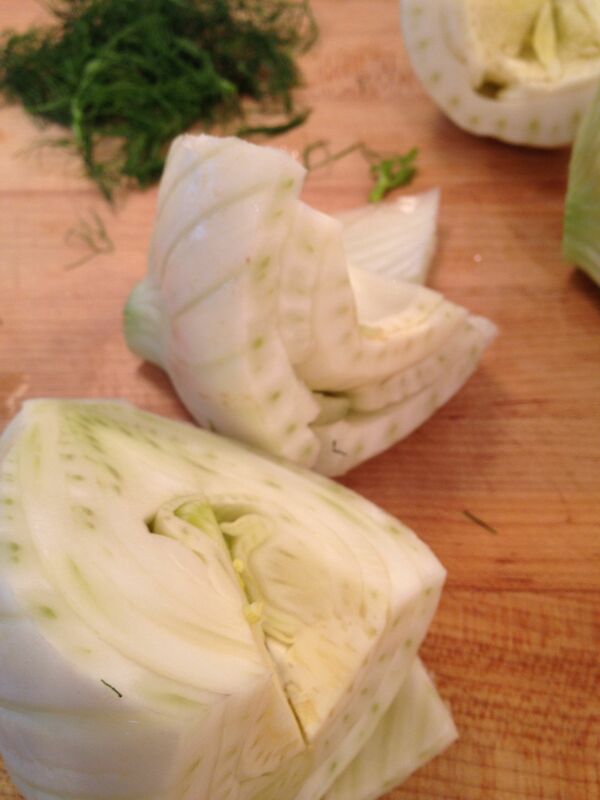 Cut the tops from the fennel bulbs and reserve some of the leafy tops for garnish. 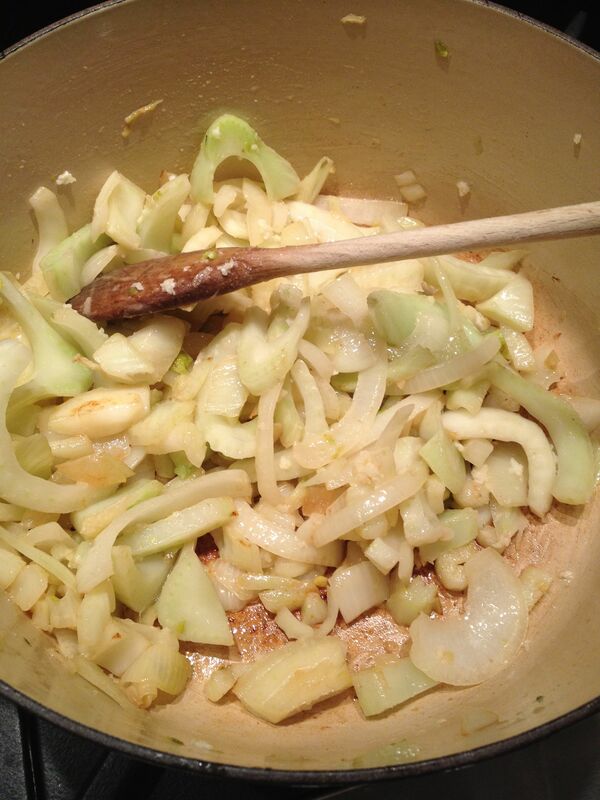 In large pot or Dutch oven over med-low heat, add the chopped fennel, onions and butter and cook until the vegetables are limp. Add the garlic and cook for another minute or two. Season with 1 teaspoon kosher salt. 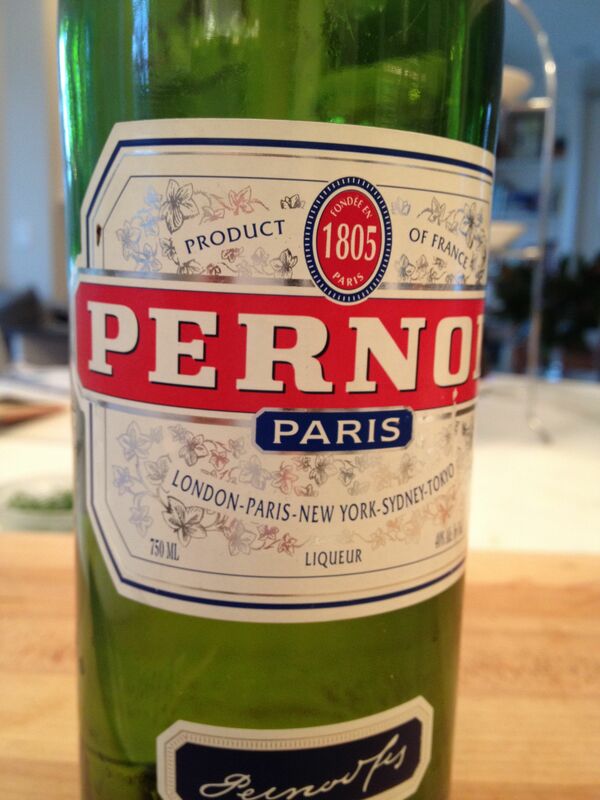 Serve with chopped fennel fronds for garnish, if desired. Keeps for several days in the refrigerator, or for months in the freezer. 8-12 servings, depending on portion size. 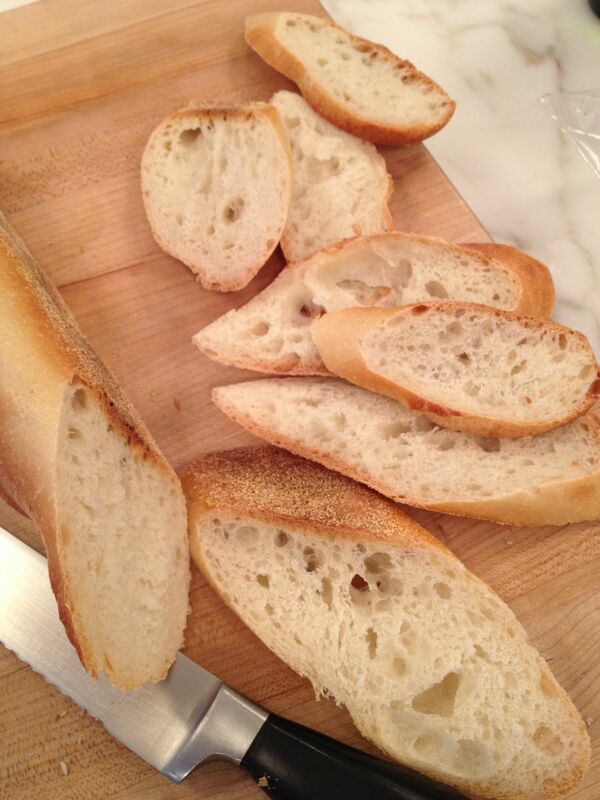 If you can plan a day ahead, slice the baguette and leave out overnight to dry out. This will save a step. 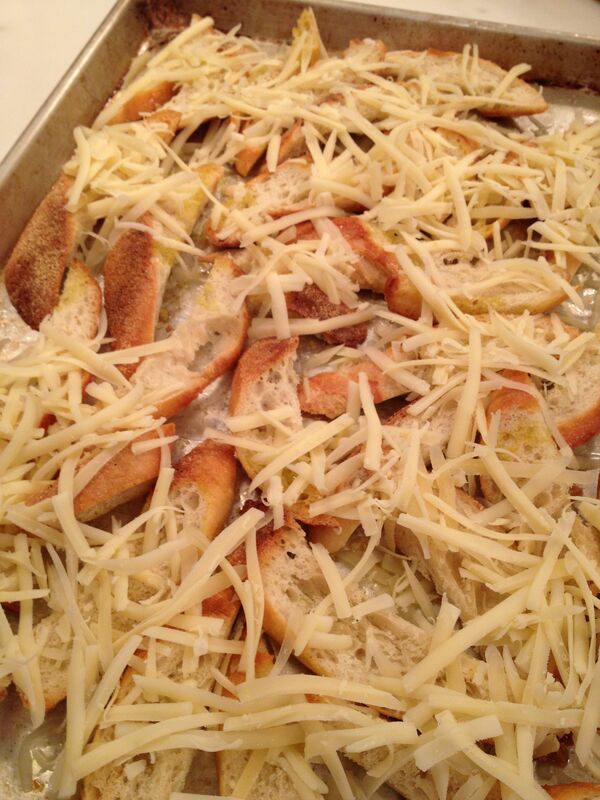 Sprinkle grated cheese over slices and bake at 350ºF for about 15 minutes, or until golden brown. 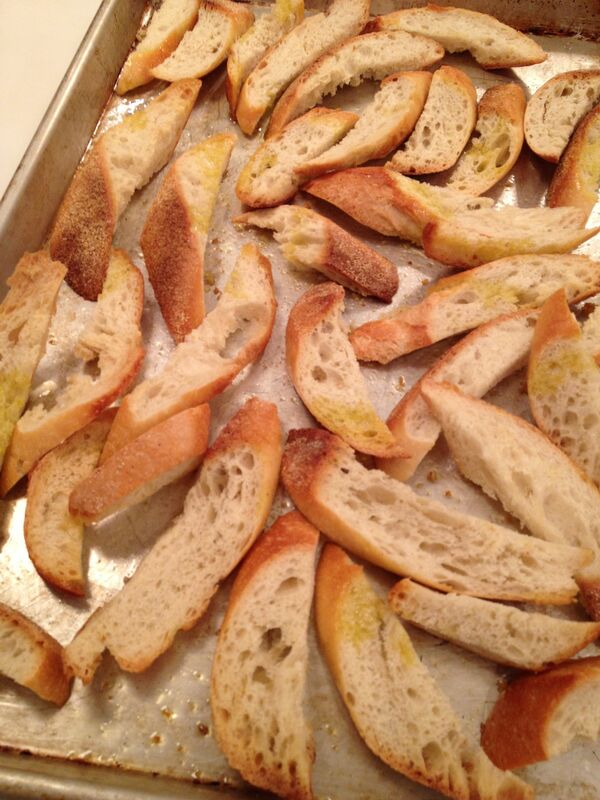 Remove from oven and let cool on baking sheet. Break apart when cooled. 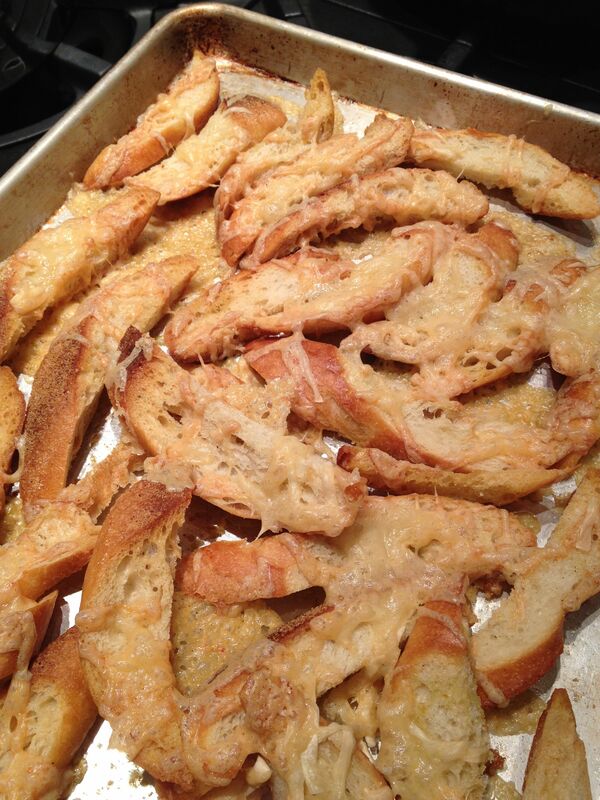 (Eat the crispy cheese bits that stick to the baking sheet.) Store in an airtight container, in pantry or freezer. 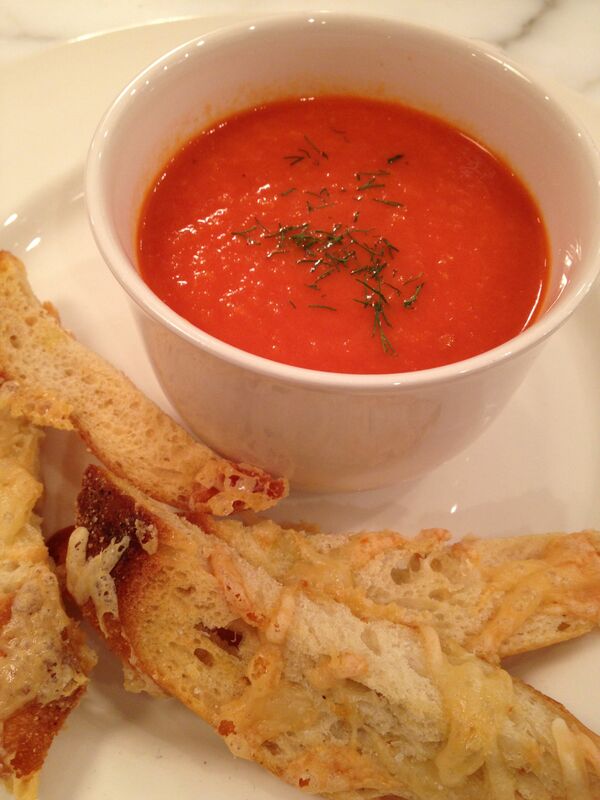 This entry was posted in Fall Favorites, Holidays, Main Courses, Soups and tagged Croutons, Fennel, Gruyere, Holiday Meal, Soup, Tomato by subeeskitchen. Bookmark the permalink. Merci pour la recette. Elle etait delicieuse ta soupe, j’espere que ta belle-mere appreciera !! Merci – moi aussi ! Thanks for posting Sue—I definitely will be making this for the holidays! This sounds so yummy! I am officially subscribed and have read every recipe and post! Hooray!!! I can’t wait to try your recipes, especially the gruyere dippers. Yum!! Just finished. I know I am suppose to taste it to determine if it needs more salt, but I can’t stop myself from tasting well past the point that I got the salt right. It is soooooooooooooo good. .It was nice to have Sue handy by email to answer my questions. I used Sambuca (two little bottles) and half and half. Good call with the Sambuca, Dionne! Any anise-flavored liquor will work well. Enjoy!